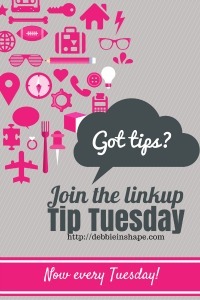 Welcome to Tip Tuesday Linkup Party #7! I would like to invite everyone to stop by Holly’s post if you have not done it yet. Top 3 Tip Tuesday #6: Kath, Mary and Terri.